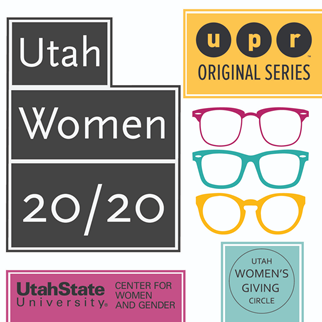 Today on Access Utah, as a part of our UPR Original Series: Utah Women 20/20, we’ll talk with Dr. Susan Madsen, and Robbyn Scribner, a research fellow with the Utah Women & Leadership project. We’ll discuss the project’s latest research brief titled “Strategies that Male Allies Use to Advance Women in the Workplace,” especially timely in a #MeToo climate in which some men are nervous working with women. We’ll also talk about women in higher education, poverty and homelessness among Utah women, entrepreneurship and women-owned businesses, and many other topics. Susan Madsen and Robbyn Scribner on Access Utah. Dr. Susan R. Madsen is the Orin R. Woodbury Professor of Leadership & Ethics in the Woodbury School of Business at Utah Valley University. She is also the Founding Director of the Utah Women & Leadership Project and the Utah Women and Education Initiative. Since 2009, She has led efforts in Utah to get more women to graduate from college and to help more girls and women in Utah find their voices and become leaders. Professor Madsen and her team have written many Utah research and policies briefs and snapshots and hosted events to support the mission of their work. Susan Madsen is a well-known global scholar, authoring or editing six books and publishing hundreds of articles, chapters, and reports. Robbyn Scribner is a Research Fellow at the Utah Women & Leadership Project at Utah Valley University. Most recently, She has been the team lead for the Utah Women Stats Research Snapshots series, where she co-authored twelve snapshots on various topics of interest surrounding Utah women, including poverty, labor force participation, domestic violence, unpaid care work, and the gender wage gap. Robbyn Scribner also works on community relations and fundraising for the Project. She has a special interest in researching and writing on issues affecting women and careers, including the creation of alternative pathways for women to create successful careers even while prioritizing other areas of their lives. Across the globe, women spend more time on average doing unpaid care work than men. This includes activities such as childcare, eldercare and house work. In the United States, the average of unpaid care work is nearly five hours a day for women and just more than three hours for men. In the state of Utah, the gap increases as women spend nearly six hours a day doing unpaid care work, compared to an average of three hours for Utah men. Julia Gossard, assistant professor of history at Utah State University, says that since thousands of witch trials took place across Europe and North America, one stereotypical image of an early modern woman is that of a witch. Gossard teaches a class called “Witches, Workers, & Wives,” which examines attitudes, ideas, and stereotypes about gender, sexuality, and power - including how the witch became a quintessential early modern trope. Julia Gossard is giving a presentation on Halloween for the USU Center for Women and Gender. This is a unique moment for Utah. Five colleges and universities in the state now have women presidents, several for the first time. These institutions include Utah State University, University of Utah, Utah Valley University, Salt Lake Community College, and Westminster College. As a part of our UPR Original Series Utah Women 20/20, we’ll talk with three of those presidents on Monday’s Access Utah. We’ll explore what this means for Utah and for these universities and colleges.